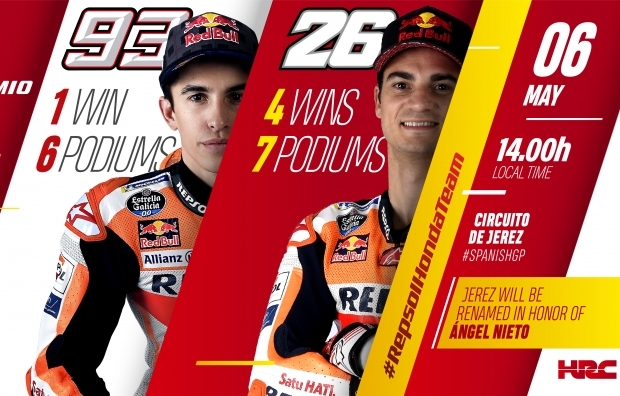 The Repsol Honda Team has returned to Europe, to Southern Spain, for Round 4 of the MotoGP Championship, fresh from Marc Marquez’s maiden win of the season in Austin, with which he equalled Mick Doohan (Mugello, 1993-1998) and Casey Stoner (Phillip Island, 2007-2012) with six consecutive premier-class victories at the same circuit*. The amazing result allowed Marc to move up the order to second, just one point off the top of the World Championship classification. 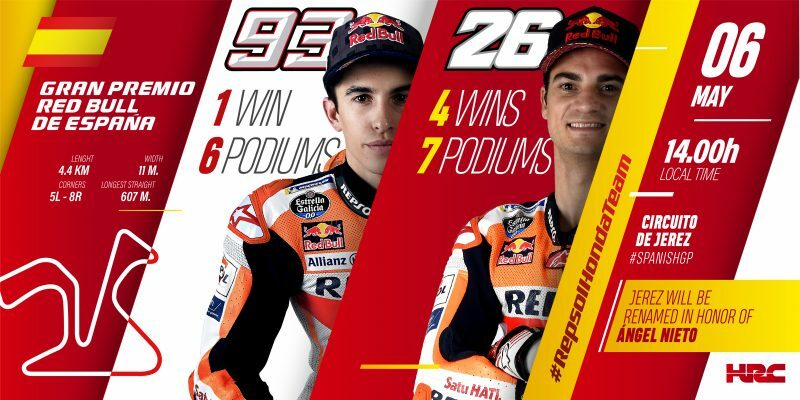 Dani made his MotoGP debut at Jerez in 2006 with a brilliant second-place finish, and last year he reached an historic landmark in winning the 3,000th Grand Prix race ever held and taking the Repsol Honda Team’s 100th victory in the MotoGP class. He will try to make the best of his good feeling with the track to overcome the difficulties of recovering from surgery to his right wrist. Marc and Dani have stood together on the podium at the Andalusian track on three occasions, in 2013, 2014, and last year. The Repsol Honda Team has completed a positive one-day private test in Jerez – which has been fully resurfaced last summer, on 26 March. The circuit will be renamed in honor of Ángel Nieto in a special ceremony on Thursday, May 3. Along with the recent Grand Prix of the Americas, the Sunday’s Spanish Grand Prix will be the second event this season to be shortened in length compared to previous years. This time the race will change from 27 laps to 25. 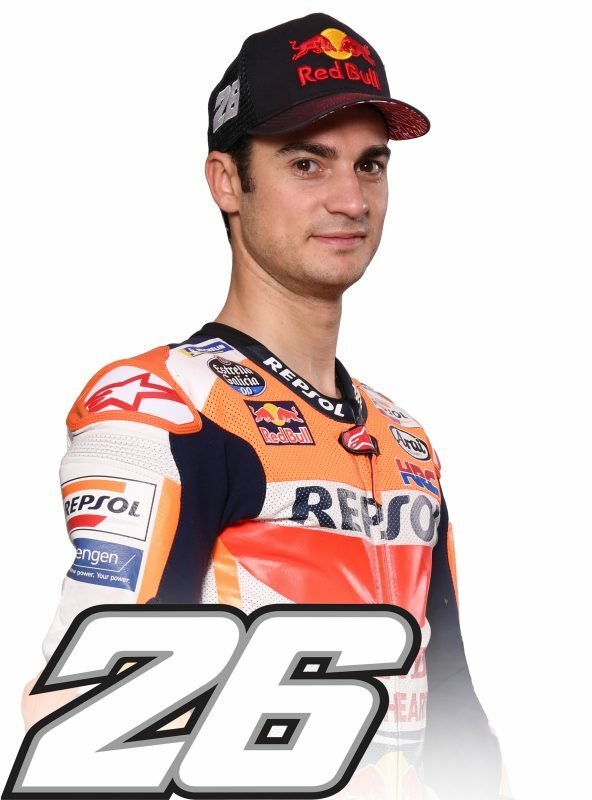 Dani Pedrosa has 4 wins: 1 x 250 (2005) and 3 x MotoGP (2008, 2013 and 2017), plus an additional 7 podiums and 4 pole positions. 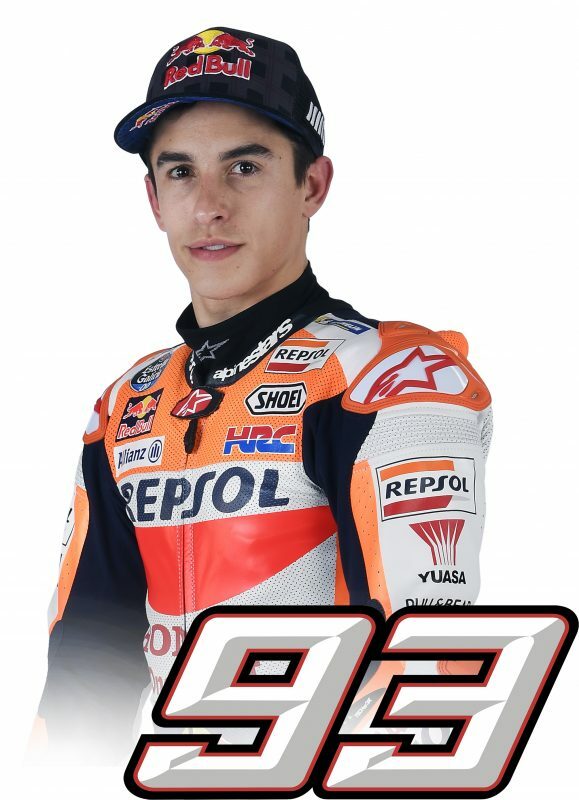 Marc Marquez has 1 win: MotoGP (2014), plus an additional 6 podiums and 3 pole positions.